This is more than a travel guide. It’s more than a camping guide. 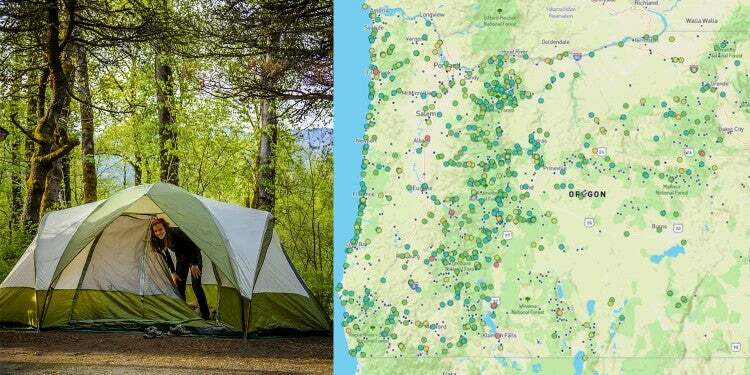 The Essential Guide to Camping near Portland, Oregon is the camper’s road map to the top-notch outdoor fun to be had in and around Portland, Oregon, where the trees are moss-covered, the deserts are high, and the campgrounds are waiting. Portland, Oregon is a dream for anyone looking for a perfect blend of city life and outdoor adventure. 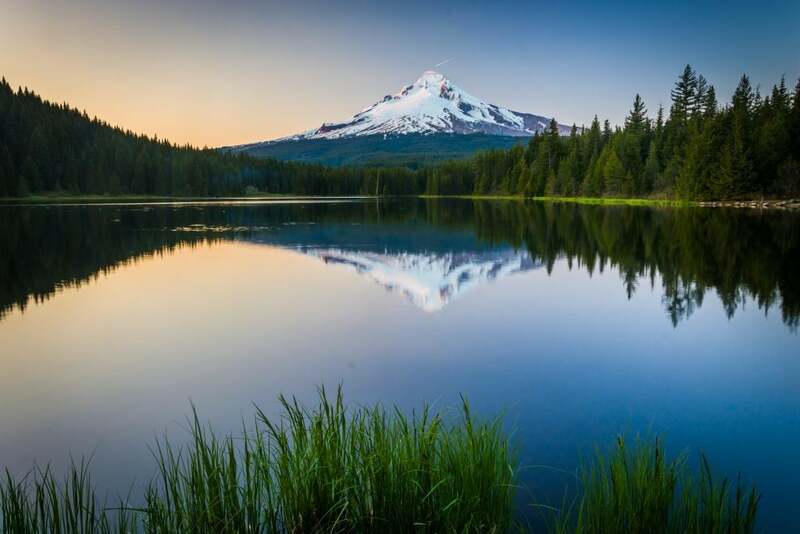 Mount Hood stands tall over the skyline, beckoning city dwellers to come play in the snow, the forests, the waterfalls, and trails that surround it. A short drive in any direction allows one to escape the daily chaos of urban life for peace and quiet or adrenaline-infused adventures. But you can get your outdoor fix in the city, too; from swimming or boating in one of several rivers, to exploring over 10,000 acres of city parks, including one of the country’s largest urban forest reserves. The City of Roses is the city’s official nickname. Roses thrive in the temperate climate found here — as do campers looking to explore the outdoors year-round. 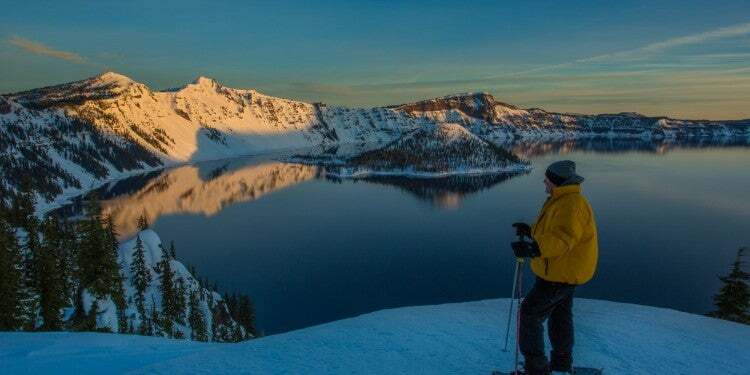 Whether you’re visiting for a weekend or looking to make Portland home, this guide will help you get outside to experience the endless outdoor recreation available in and around this Pacific Northwest hub. Portland, Oregon is the home of the Chinook Nation, a group of tribes who called the Columbia River region home long before any white settlers came into the area. Many area landmarks were given their names by the Chinook, which remain today, including the Willamette River and Multnomah Falls. The Chinook are also the natives who helped Lewis and Clark through the hard winters of 1805 and 1806 during their exploration and stay in Oregon. Portland’s proximity to the Willamette and Columbia Rivers, Cascade Mountains, and the Pacific Ocean have ensured its place as an outdoor wonderland for decades. It’s geography and natural resources have made shipping and lumber production the main economic staples of the region. With the influx of emigrants traveling the Oregon Trail during the mid to late 1800s, Portland continued to grow and expand. Early on, the rapid growth placed a focus on maintaining natural resources within the region. City planners started to put in place ways to preserve and enhance the outdoor spaces within city limits as the population boomed around the turn of the century. In 1903, the Olmsted brothers — whose firm was well known for designing Central Park — were hired to help the city plan and manage their parks and natural open spaces. At their recommendation, the Tom McCall Waterfront Park and Forest Park were both created. 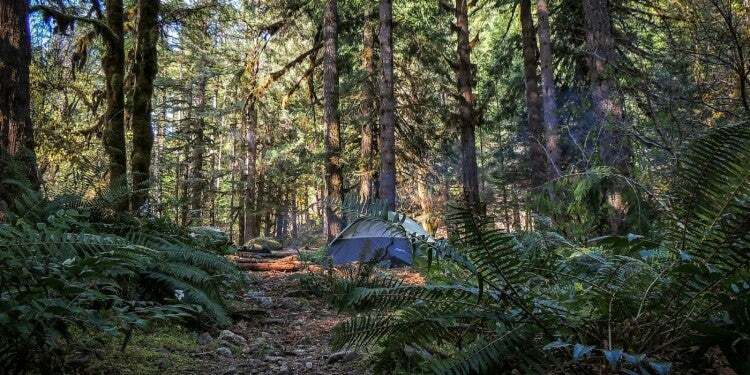 Not long after these parks were formed, the National Forest Service built its first managed campground in the United States just outside of Portland. In 1967, Oregon passed the Oregon Beach Bill. This bill set the state apart from others by making all Oregon beaches public land and unavailable for private ownership. You will never find a “Private Property” sign when exploring Oregon’s coast, and some people hike the entire thing, using the Oregon Coast Trail. This designation only bolstered Portland’s reputation as an outdoor recreation destination. 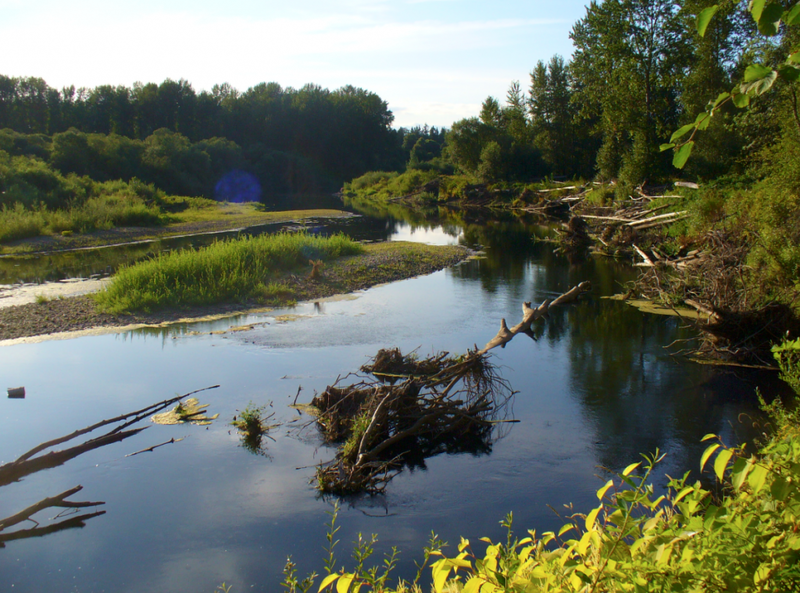 Land preservation has continued to be an important focus in Portland throughout the years. Thanks to early actions, the state of Oregon can proudly say that is has preserved and retained 92% of the forests that existed in the 1850s when white settlers arrived in droves. In Portland, summer and early fall are the peak seasons for tourism. If you don’t mind cooler temps, some rain, and gray skies then you can beat the crowds in the spring and winter. During the warmer months of June through September, rain stays away for the most part and visitors get to enjoy the greenery and sunshine care free. Summers heat can get up into the 90s, but for the most part, high 70s are the norm. The cooler months in Portland have their perks, too. Leaves changing in the surrounding forests and cooler temperatures can make fall, in our opinion, just as appealing for outdoor exploring. Winters are dark and drizzly, but temperatures are fairly mild, staying above 30 degrees, and below 50 most of the time. Even if you are visiting in the summer, you will want to pack a light rain jacket or wind breaker — just in case. Portland does get the occasional rainy day during the warmer months, and it is best to be prepared. If you are camping in Portland during the cooler months, or if you tend to get cold easily (like I do) then bring a down jacket as well. You will be glad you have it if the temp drops a little too much for your liking at night. Clothing that works double duty is a must for Portland. This is a city where you can be in the woods hiking for part of the day and easily get back into the city for a beer at a local pub. Think comfortable flannels and breathable fabrics that look good, but keep you comfortable throughout the day. The Pacific Northwest climate has a reputation for changing on a dime. So it is always a good idea to pack clothing that layers easily. That way, if you get hot you can simply take something off, or put something back on when you get cold. Light jackets and sweaters are always good to have on hand, no matter the time of year. Speaking of layers, warm moisture wicking socks are important as well. It gets rainy sometimes, and even if it doesn’t the rivers, lakes and ocean here can lead to fun times and wet feet. They can’t hurt to have on hand if it gets cold at night, too. Hiking boots are a must in Portland. I wasn’t kidding. There is a lot of water here even when it isn’t raining. Trails can get muddy, you might want to cross a river, and good footwear is just always the right policy for spending time in the outdoors. On a similar note, comfortable shoes that you can get on quickly are great for exploring the city before you make your way back to the campground. Rain or shine, you will want a hat in Portland. For camping, you will want a tent with a rain fly and moisture barriers like a tarp. If you are camping in the summer, these might not be needed, but it is always better to be prepared. The nights can get cool, even in the summer, so make sure you bring along a warm sleeping bag. A lot of this list is focused on the fact that it is wet in the Northwest, and fire starters are no different. Be sure to check the campground fire rules and restrictions. If fires are okay at your campsite, then also make sure to follow best practices to prevent a forest fire. In case it rains you will want a reliable fire starter. You won’t want to forget your growler and cooler when camping in Portland either. The craft beer scene in Portland is a huge part of the city’s culture. If you are a beer drinker, you’ll definitely want to fill up on your way to the campground. The campground in the Portland area are beautiful. It is safe to say you’ll probably want a camp chair or two so that you can kick back and enjoy a cold brew at your site. Spring is here!!! This school quarter is almost done and I see backpacking in my near future! I’m thinking maybe the Wallowas? Next Adventure provides gear for camping, climbing, and hiking as well as snow and paddle adventures. They also offer rentals, outdoor school programs, and guided adventures. There are three locations in Portland, and one near Mt. Hood in Sandy. Portland’s Outdoor Store has been family owned and operated in downtown Portland since 1919. The store is city staple, known for its large selection of classic western attire, but you can also find outdoor adventuring apparel and footwear. 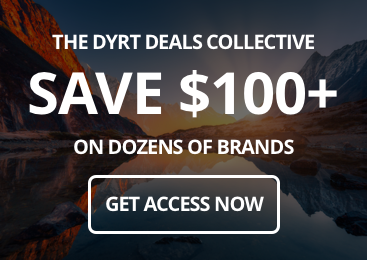 They carry brands like Levis, Woolrich, and Filson. Snow Peak is a high-end Japanese outdoor apparel and gear store. Its flagship, and currently only, U.S. location is located in Portland’s Pearl District. 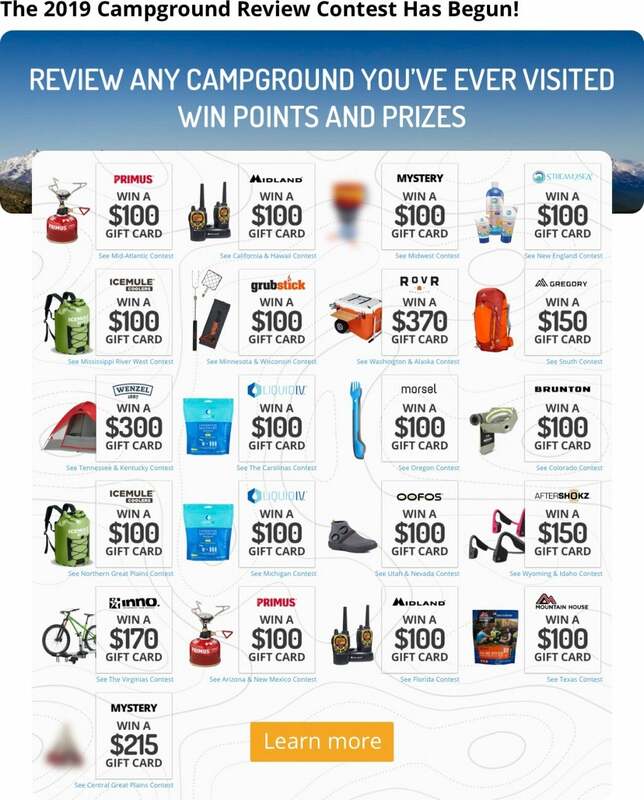 If you are looking for unique camp cookware, or tents, or even camp furniture that you won’t find anywhere else — Snow Peak is worth a stop. Oregon Mountain Community features a wide range of hiking, camping, and climbing gear, as well as outdoor apparel for men and women. You can find snow gear as well for Nordic skiing and snowshoeing. Soul River Runs Deep is your stop for all things fly fishing related. Like climbing, biking, and hiking, fly fishing is a great activity to enjoy while camping in Oregon. Soul River Runs Deep offers gear as well as casting and fly tying classes and guided trips. U.S. Outdoor is an ultimate one-stop-shop for all things outdoor gear. You can get surf, paddle, snowboard, ski, and snowshoe rentals here. If you bring your own gear in, they provide waxing, tuning, and mountain services. You will also find an array of camping, hiking, surfing, snow sport, and apparel for sale in the shop. Andy and Bax Outdoor Store is a warehouse style outlet, offering military gear and camping supplies. Xscape Pod provides new campers and those who don’t want to pack all of their gear to another state with everything that is needed to have a good time in the woods. They ship nation wide, but because Portland is Xscape Pods home, visitors can simply pick their pack up or have it delivered in the city for a much cheaper price. Vagabond Vans and Road Trip Oregon both offer camp van rental services for those wanting to try out that van life without the commitment. Rates range from $50 a night to $260 a night with varying van build out options and types to choose from. Oregon River Experiences provides daily white water rafting trips on the Clackamas River near Portland. They also do guided multi-day rafting trips on other Oregon rivers, including the Rogue River, the Deschutes River, and the McKenzie River. EverGreen Escapes hosts small group tours with a maximum of ten people. 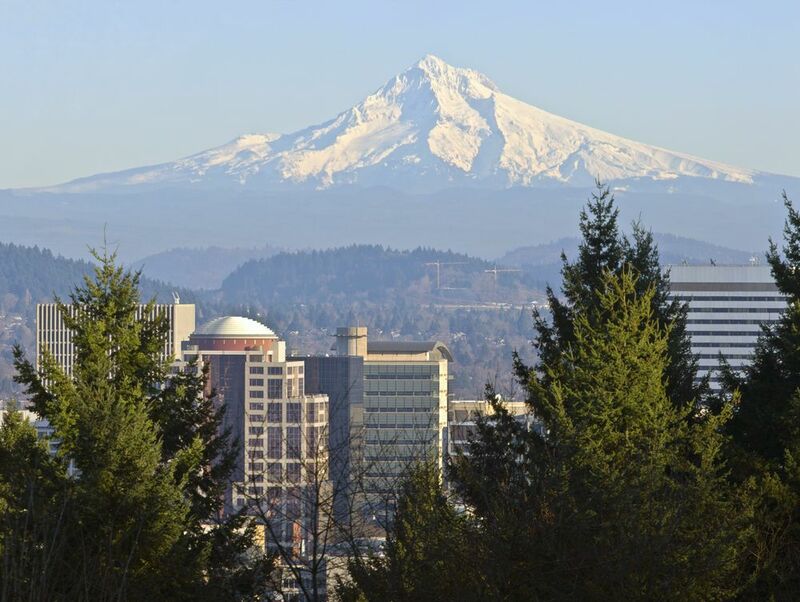 Tours of downtown Portland and surrounding scenic areas are offered, including the Willamette Valley, Columbia River Gorge and the Oregon Coast. Sea to Summit Tours and Adventures provide shuttle services to local ski areas, including Timberline Lodge, during the winter months. Year-round they also provide wine and beer tours and excursions to local destinations, such as Multnomah Falls and the Oregon coast. Oregon Surf Adventures hosts multi-day Oregon coast surf camps for all ages as well as daily classes with private and group options. Rare Earth Adventures takes guests on surprising outdoor adventures with offerings that change monthly. Adventures range from cave tours and mountain submitting to rock climbing or drinking local brews by the beach after a surf lesson. LifeCycle Adventures is a Portland business, providing cycling focused vacations in Oregon, as well as internationally. 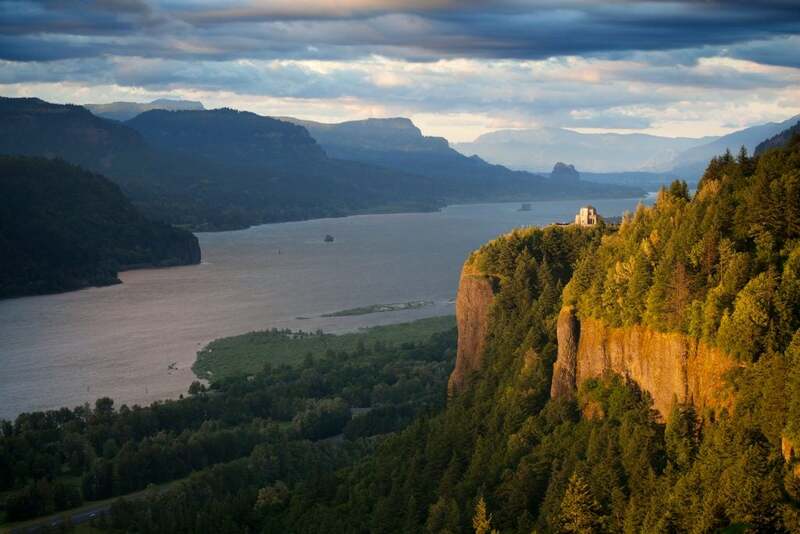 From Portland, you can embark on a three to ten day loop that winds through the scenic Columbia River Gorge, Mr. Hood, and Mt. Adams. Forest Park is one of the largest urban forests in the U.S. and was designed by the Olmsted Brothers, who designed Central Park in New York City. The entire park is nearly 5,200 acres large with over 80 miles of trail for biking and running. Though you can’t set up camp here like the characters in the film Leave No Trace, (which was filmed in the park), it does make it easy for visitors to get into the outdoors without having to venture far from the city. You can explore Forest Park between 5 a.m. and 10 p.m. each day. Both the Japanese Garden and the International Rose Test Garden are internationally acclaimed and located close to one another in Washington Park. You’ll forget your are in a city without ever having to leave it. They are also located conveniently close to one another. The Portland Japanese Garden was designed on 12 acres in 1963, full serene trails that wind through what is considered to be the most authentic Japanese garden outside of Japan. 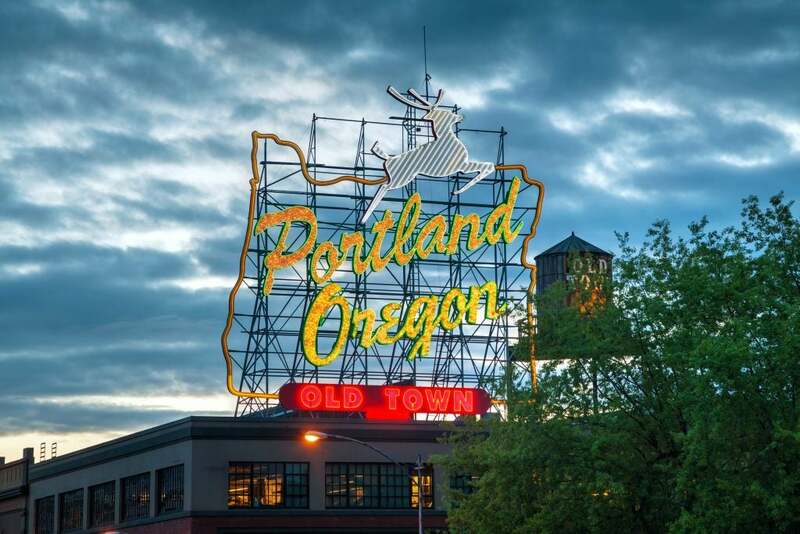 Portland’s nickname is the City of Roses, and that is due to the prominence of the Portland Rose Society, which was started here in the late 1800s. In the 1920s the International Rose Test Garden was opened. The Marquam Nature Park offers nearly 200 acres of outdoor space. Like Forest Park, it is also conveniently located within the city. There are miles of hiking trails and wildlife habitats to enjoy inside. 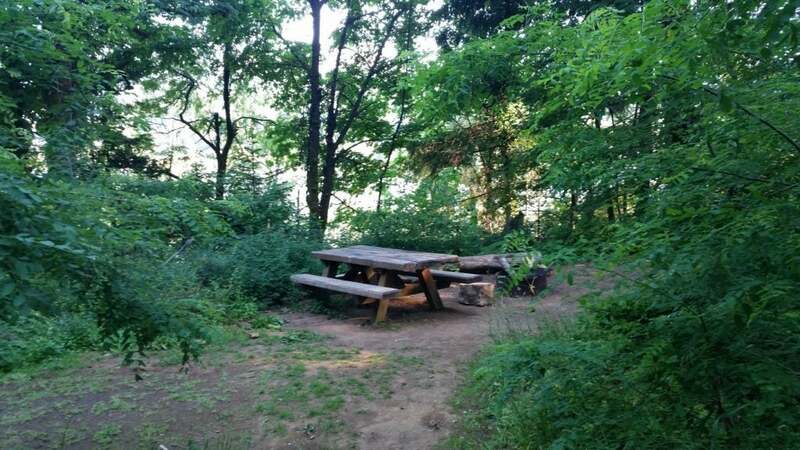 Most notably, the Marquam Trail within this park connects to the 40-mile loop trail that starts in Willamette Park and connects to the Wildwood Trail (referenced below in the Portland hiking section). With 150 acres of preserved wildlife habitat and four miles of walking trails throughout, the Audubon Society of Portland is an amazing place within the city where you can relax and get in touch with nature. There is an interpretive center, a wildlife care center and nature store at the entrance to the park. If you walk down to the trails, you can also see native birds as well as some of the onsite education birds, including a raven. These are all non-releasable birds that now call the wildlife center within the Audubon Society home. Keep in mind that no dogs are allowed within this area, as it is a space dedicated to protecting native wildlife habitats. 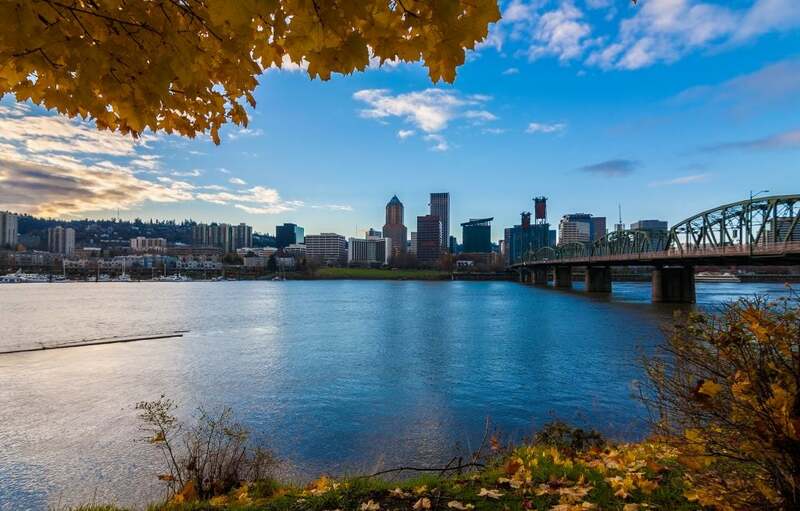 Tom McCall Waterfront Park is a 30-acre stretch of walking paths and war memorials located along the Willamette River in downtown Portland. The park was suggested by the Olmsted Brothers who recognized that a greenway along the river would ensure the area would be preserved into the future. During the warmer months there are often events taking place here. It is also a nice area to enjoy lunch after visiting Portland’s famous food carts. The Pittock Mansion is the former home of Henry Pittcock and his family. Henry settled in Portland in the 1850s after crossing the Oregon Trail at the age of 19. He became the owner of The Oregonian, the city’s largest newspaper still to date, back when there were nearly 30 papers all competing for dominance within the frontier city. The Oregonian ended up becoming the winner, and Henry made his fortune. Today, the home is a museum, and visitors can roam the grounds of the estate which feature pristine gardens and unbeatable views of the city and Mt. Hood. 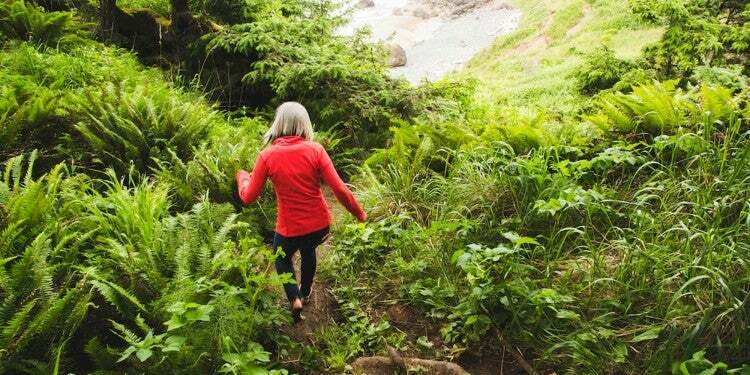 This is the ultimate Portland hiking trail, located right in the city. Moving through the entirety of Forest Park and spanning 27.9 miles, the Wildwood Trail provides hikers with a glimpse at native Portland wildlife. The trail can best be done in sections or all in one go if you are feeling ambitious, as there is no camping within the park. You can hike Wildwood year-round and dogs are allowed on the trail with a leash. The Oaks Bottom Wildlife Refuge is wetland area and former landfill that residents blocked from further development in the 1960s. Today, there are paved easy meandering trails throughout. It is a prime bird watching location and offers views of and access to the Willamette River. Mt. Tabor Park features a 1.7-mile loop trail that is ideal for just about any skill level. The area is the site of an ancient volcanic cinder cone. Visitors can hike the trail, while taking in views of the city or stopping by the off-leash dog area. Dogs are allowed on this trail, but a leash is required. Powell Butte Nature Park is the site of another ancient cinder cone volcano that is no longer active. After Forest Park, this park is the largest in Portland. 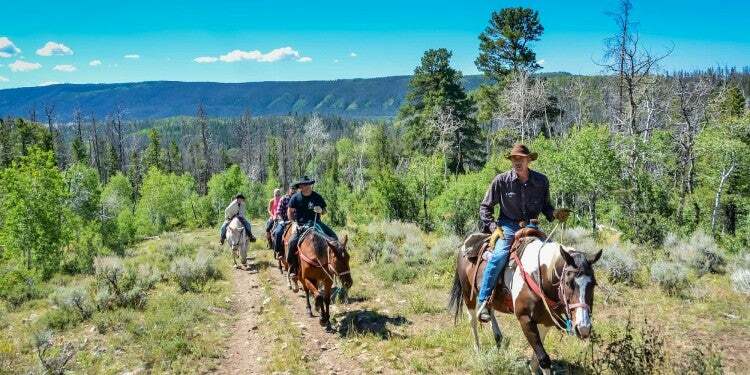 There are over nine miles of trails in the park for visitors to explore, which are suitable for hiking, biking, and horseback riding. Wildlife can often be seen from the trail, including birds of prey, and five mountains are visible when it is clear out. This is a unique trail located about an hour and a half outside of Portland in the Willamette National Forest. 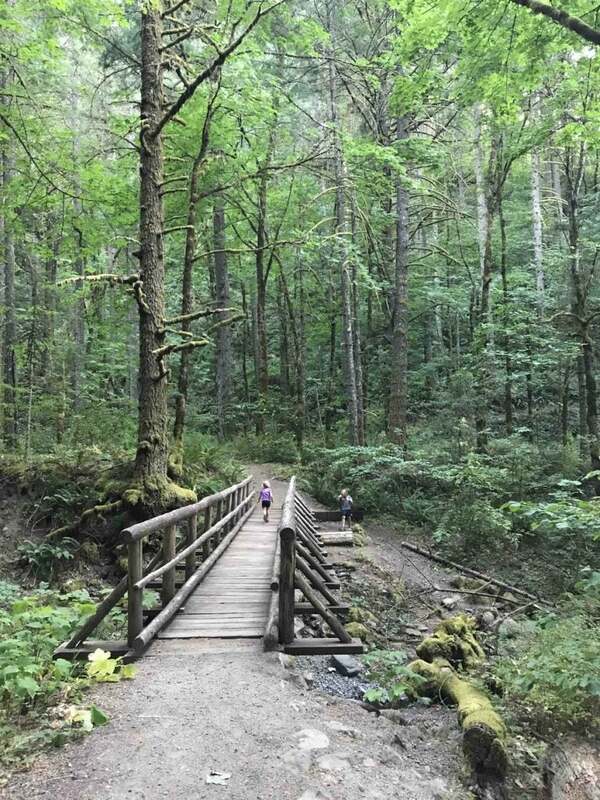 You will find an easy 1.5-mile hike along a woodland trail that ends at Bagby Hot Springs, a natural hot spring and bathhouse. The area is not maintained when the trailhead is no longer accessible (from mud or snow). Otherwise the semi-private and private soaking tubs at the bathhouse are open on a first-come first-serve basis. The Timberline Trail is another classic Portland hike. It was built by the Civilian Conservation Corps in the 1930s and circumnavigates the top ridge of Mt. Hood. Due to snow, and several small waterways to cross on the trail, it is only open during the summer months. You begin the trail at the historic Timberline Lodge, and can be done in sectioned day hikes or as a multi-day backcountry camping thru-hike. There are many epic day hikes for all ages and abilities to check out in the Columbia River Gorge, which is located just outside of Portland. 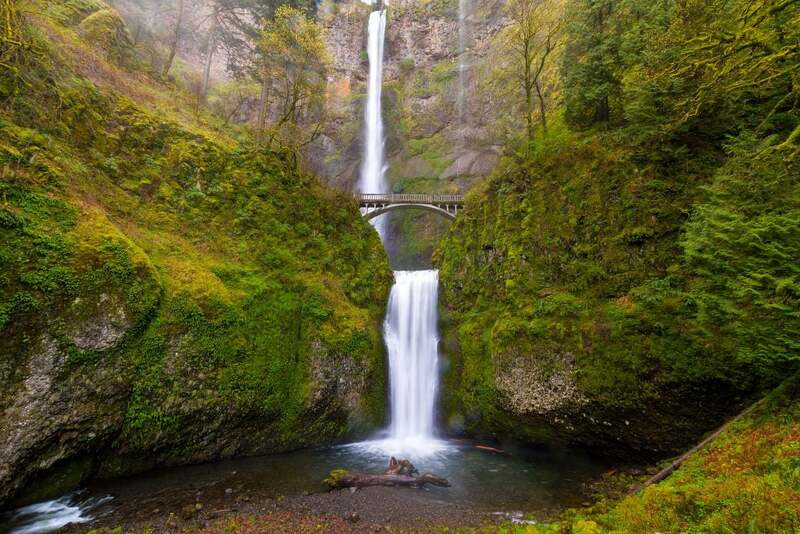 Multnomah Falls, Silver Falls, and Bridal Veil Falls are a few of the most notable. Whether you are hiking with kids and want a hike on the easier side, but don’t want to miss the views or you are looking for a challenging climb, there is something in the Gorge for everyone. Keep in mind that due to the Eagle Creek Fire in 2017, some of The Gorge hikes are closed. Sandy Ridge Trail System is a 17-mile, single track area designed exclusively for mountain bikers. The area is a short drive from Portland, located near Mt. Hood. The system has become a major mountain biking destination in the U.S. Unlike most mountain biking trails, Sandy Ridge is open nearly 10 months of the year thanks to its design, which drains water and doesn’t give way when things get muddy. 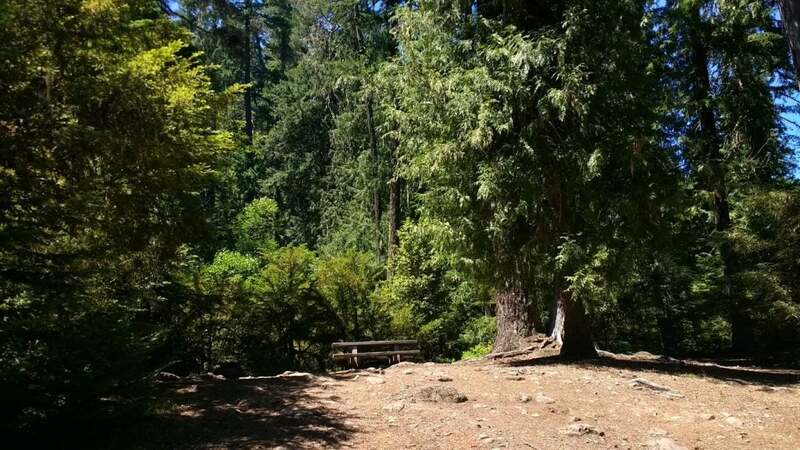 The Leif Erickson Trail is a 11.2-mile forest trail that winds through Forest Park. This trail was once a road, designed to promote development in the area, before city leaders saved the area and turned it into the massive park it is today. Bikers and runners in Portland use this trail often, and keep track of their miles by tracking white cement posts on the right side of the trail. Yes, Portland Has Beaches Too! 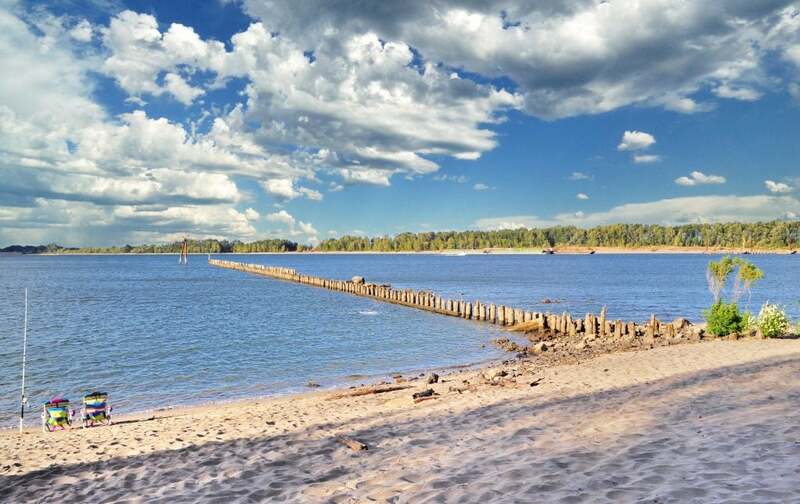 During the summer months, Poet’s Beach is a popular spot to swim and soak up the sun on the banks of the Willamette River in downtown Portland. The area is marked off with floats to keep swimmers safe from boaters and kayakers who also use the river. The area can easily be accessed on foot or by bicycle. If you are driving to the area, there is paid parking nearby at SW River Parkway and Moody Avenue. Named after Tom McCall’s wife, Audrey McCall Beach is another access point along the Willamette River in downtown Portland. This area is located in a cove near the Hawthorne Bridge. Along with swimming areas, there is also a floating dock here, where paddle boarders and kayakers can launch from. Kelley Point Park is located in Northeast Portland at an intersection of the Willamette and Columbia Rivers. Here, you will find beach access, paved walking and biking paths, and a dock to launch small watercraft like kayaks and canoes. Kelley Point was once a site imagined for the main city, and was also previously owned by the Port of Portland. The park is named after Hall Jackson Kelley, a New Englander who advocated, perhaps more than anyone else, for growth and development in Oregon during the early 19th century. There are several historical markers at the park detailing the history of the area. Broughton Beach is known as one of Portland’s best urban beaches along the Columbia River. It is a popular swimming area with a long sandy beach —perfect for picnicking and sunbathing. On clear days, you can enjoy epic views of Mt. Hood while you cool off in the water. There is also a paid parking area, which makes getting there quite convenient. If an ocean beach is what you are after, Seaside, Cannon Beach and Astoria are the closest ones you can access from Portland. These coastal cities are all located within a two-hour drive from the city, and provide excellent beaches, surfing, and quaint coastal towns to explore. On your way to the coast,you can hike Saddle Mountain, a 4.5-mile out-and-back coastal range trail. The camping out on the coast is amazing, too, and well worth the extra drive time from Portland. Rocky Butte is easily accessible from downtown Portland. The only downside is that it is only really climbable during the dry warmer months. When it gets rainy, the rocks become to slick. There are multiple climbing routes to be found here, and each offering something for different skill levels. Rooster Rock is a popular climbing area located in the Columbia River Gorge’s Rooster Rock State Park. The area is a quick drive from Portland and provides climbers with incredible views of the Columbia River and Cascade Range. There are both beginner and more advanced climbing routes here. Located near Sandy at the base of Mt. Hood, French’s Dome offers a serene setting in the middle of the woods. There are routes here for all skill sets, just keep in mind that it is only accessible in the summer and fall due to snow. If you are looking to do some indoor climbing in the city, Planet Granite is a great spot. This rock gym offers classes for beginners and advanced technical skills as well as walk-in climbing sessions. After your climbing session, you can also hit up a yoga, HITT 30, or cycle class in the onsite fitness studio. Eagle Creek Campground is a must mention, due to its being the first designated campground ever built and managed by the U.S Forest Service. Located on the banks of the Columbia River, you can easily access many of the areas most popular waterfall hikes. There are several reservable sties and a few that are first come first serve. Please note that due to the 2017 Eagle Creek Fire, this campground has been closed, but the forest service and other organizations are working hard to get it up and running again. So, keep it in mind for future camping trips and check the website for fire restriction information. “This was a lovely forested location on a hill by the gorge. The sites were very nicely spaced out. There was some noise from the interstate, but the location was very convenient.” — The Dyrt camper Elizabeth K.
Photo by The Dyrt camper Mary G.
Trillium Lake Campground is very popular in Oregon as it provides some of the best views of Mt. Hood that you can find. Located in the Mt. Hood National Forest, you can spend time here soaking up the sun on the lake, checking out local historic sites, or hiking the surrounding trails. “I love camping here when I get a chance the only thing I would say there is always a lot of people.” — The Dyrt camper Jose C.
Photo by The Dyrt camper Molly H.
The Government Island State Recreation Area is comprised of several islands located in the Columbia River. These campsites are fun because they are accessible only by boat, so if you have a kayak or sail boat definitely check this place out. You can spend time on the beaches during the day or easily head into the nearby city. “We love camping on the island, as you can only get to it via boat so it is not overly populated. There are no fire pits but you can burn. No potable water, so bring your own. There is 1 restroom and no designated camp sites. But we love it!” — The Dyrt camper Fatima H.
Conveniently located near the river and miles of incredible hiking trails in the Columbia River Gorge, Wyeth Campground is a favorite in the area. You can reserve sites online in advance, which, due to its popularity, is strongly recommended if you are set on wanting to stay here. 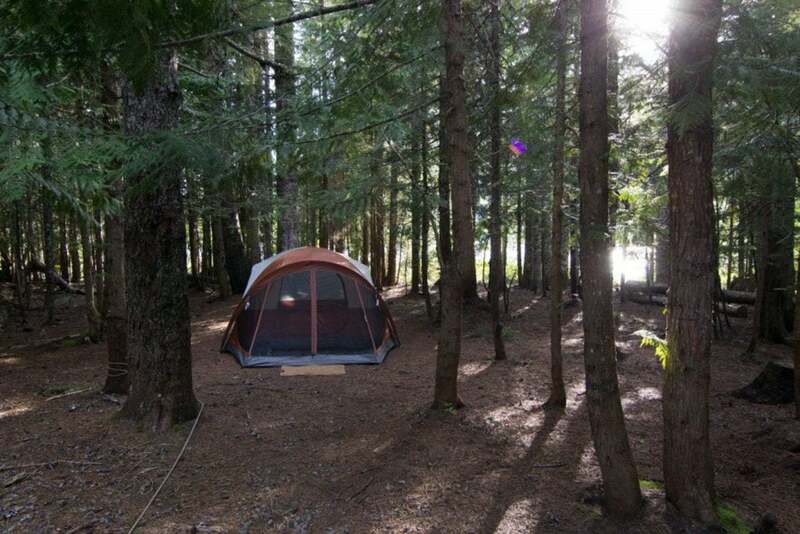 This campground is also located in the region where the Eagle Creek Fire struck in 2017, be advised to keep an eye on the website and fire restrictions. “This is a beautiful campground. We snagged one of the non reservable sites Labor Day weekend last year only to have to evacuate because of the Eagle Creek fire. Would love to go back. There is a wonderful trail and stream to explore right from the campground.” — The Dyrt camper Dori K.
Photo by The Dyrt camper Dori K.
Molalla River State Park offers unbeatable river access not far outside of Portland in Canby, Oregon. Here, the Molalla, Pudding, and Willamette Rivers converge, making it an idea spot for fishing a boating. There are trails, open spaces and picnic tables, here as well. In all it is a pretty serene spot to set up camp for a few nights. “This spot is perfect for a family picnic, or to take the fur babies somewhere to run.” — The Dyrt camper Caty M.
Photo by The Dyrt camper Caty M.
Shellrock Creek Campground is a primitive camping oasis tucked away in the Mt. Hood National Forest. Hiking and biking trails are located throughout the surrounding area, and it is not uncommon to encounter wildlife in this alpine forest. “One site is literally right up on the stream bank, that’s the one we want next time for sure. All spots have room for one larger tent or two smaller 2-man tents. The cars get parked only a few feet away so feel free to pack all the fun heavy amenities you wouldn’t bring if you were packing it.” — The Dyrt camper Aria R.
Photo by The Dyrt camper Aria R.
Elk Creek Campground offers 14 walk-in campsites on the first-come, first-serve basis in the Tillamook State Forest. 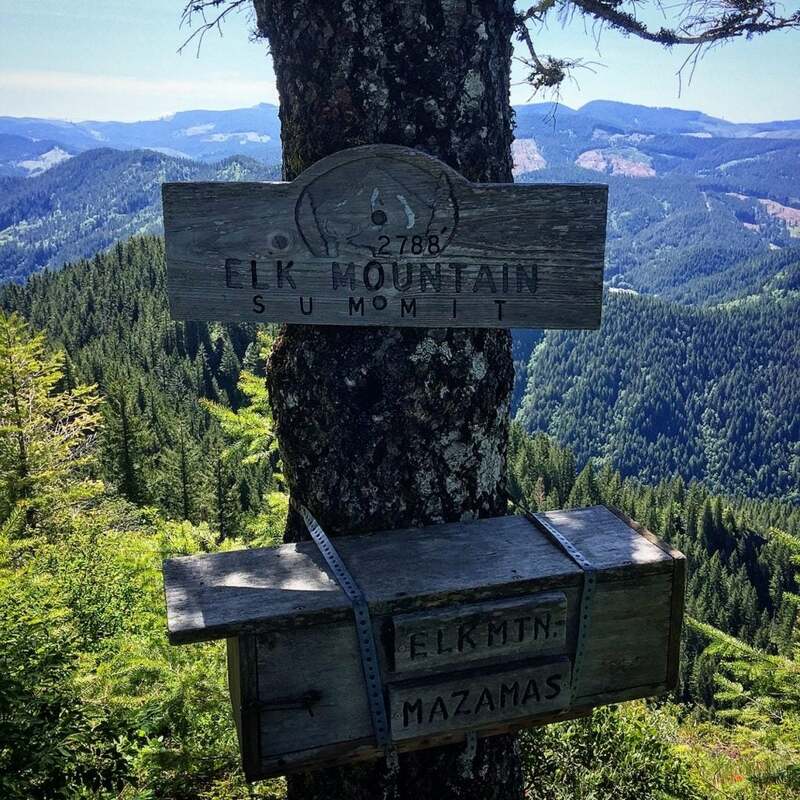 From the campsite you can access the trailhead for the 3.2-mile Elk Mountain loop trail. “Not too many actual camp sites, but very quiet. Wonderful location next to the confluence of Elk Creek and the Wilson River. Vault toilets. Pump water. Walk-in/tents only, so no RVs, but still a nice location.” — The Dyrt camper Brian C.
Photo by The Dyrt camper Allen S.
Congrats: Now You’re Ready to Visit Portland, Oregon!